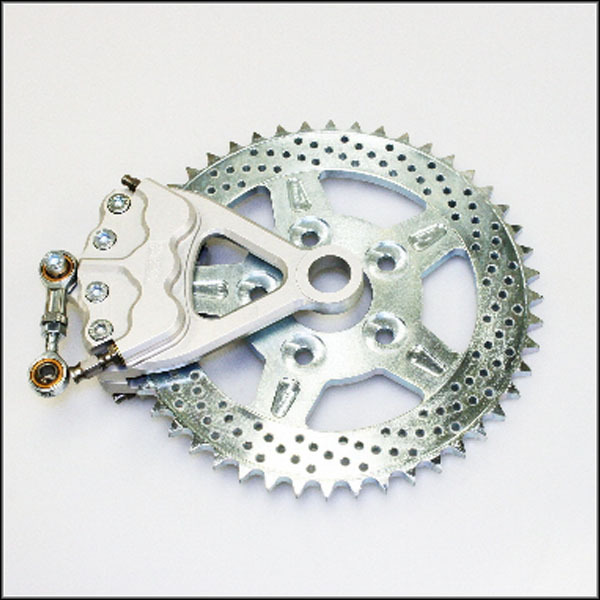 This 6 Piston Sprocket Brake kit is the first of its kind to hit the market. With it’s superior braking power you can stop even if you don’t use a front brake, although we don’t recommend that. 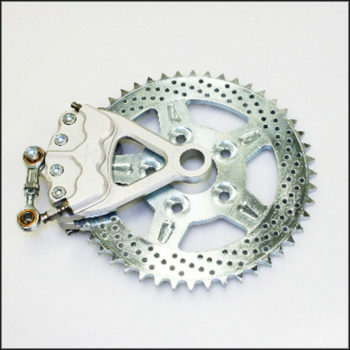 The kit comes complete with 48 tooth sprocket rotor, caliper, brake pads, necessary mounting hardware and fittings including a stainless steel -03 brake hose fitting.Available for left hand or right hand drive, 3/4 inch or 1 inch axle, please specify Sprocket Disc Indexing Hole Size. All ISR Brake Components use ONLY DOT 4 brake fluid.